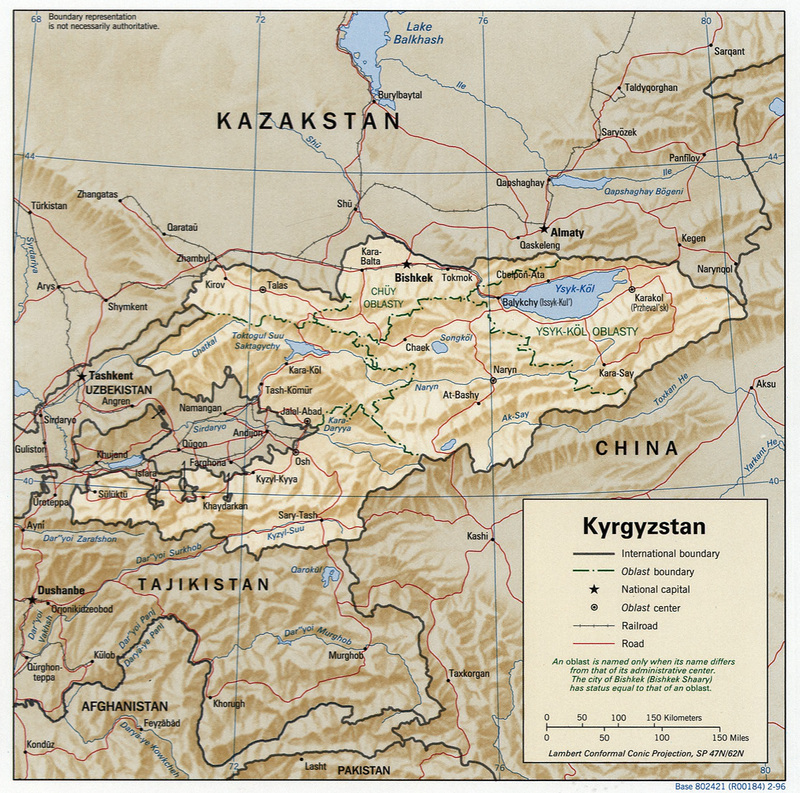 The nation of Kyrgyzstan is a place of geopolitical importance, a provider of critical water resources for the Central Asian region, and a highly unstable place. It also sits in a neighborhood of mistrust, enjoying especially strained relations with Uzbekistan to the southwest, and existing in close proximity to large unstable nations to the east, such as Afghanistan. The effects of a changing climate, which are likely to impact the country’s and the region’s vital water resources, should thus be a matter for serious global and regional attention. For the United States and its NATO allies, Kyrgyzstan has been a key transit center for supplies and personnel on the way to Afghanistan, housing the important Manas Air Base. Russia also has an air base in the country, maintaining its physical ties to the former Soviet state. The country is a natural stop along the old Silk Road trading route, which is in the process of being revived in modern form by China and Turkey – two key powers that essentially bookend the entire region from the east and west. On a regional scale, Kyrgyzstan hosts the headwaters of many of Central Asia’s major transboundary rivers, making it a critical source of fresh water for a number of neighboring countries. This assessment is consistent with climate change projections for Central Asia as a whole. While instability, capacity gaps in the region, and a diverse distribution of climates within Kyrgyzstan have made it a difficult place in which to gather localized climate data (it is a relatively data-poor spot, compared to other areas of the world), there is sufficient evidence to suggest that the effects may be significant, particularly in relation to water. These effects may have serious implications for resource security in Central Asia, which in turn will introduce uncertainties and stresses to the regional priorities and ambitions of many major powers. The geopolitical significance of Kyrgyzstan, the instability of the country and its immediate neighbors, its central role in providing water resources for Central Asia, and the projected impacts of climate change on those water resources, merit close attention. These dynamics must be understood quickly in order to ensure that adequate plans are in place to mitigate and adapt to any future resource security breakdowns in the country, and the broader region. Helping Kyrgyzstan and other nations in the area build their capacity to prepare for and adapt to climate change may play a key role in forging a more resilient and secure Central Asia. By Francesco Femia & Caitlin Werrell in climate and security on May 25, 2012 .